We’ve long been told to respect our elders. 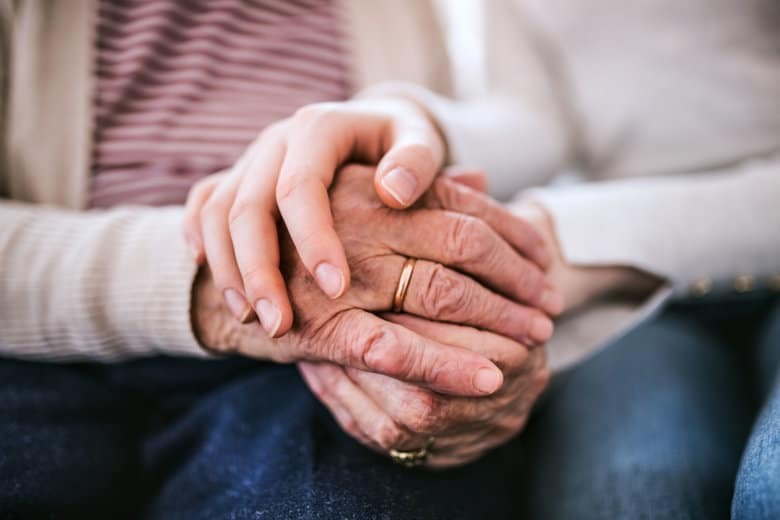 But now there is scientific evidence that respect can potentially save lives among the elderly and keep them both physically and mentally healthy. An analysis by the global journalism network Orb Media found that countries with high levels of respect for the elderly recorded better health among older populations and lower poverty levels for over-60s. As we enter a new phase of history — with 2.1 billion people predicted to live beyond 60 by 2050 — global attitudes toward older people have not kept up. In a 2016 World Health Organization survey across 57 countries, 60 percent of respondents reported that older people are not respected. “We were very surprised at this difference,” said Levy, who believes that people with positive mindsets were able to live longer because positive attitudes can influence psychological, behavioral and physiological mechanisms in the body. Positive thinking can better behavior by leading people to engage in healthier lifestyles such as exercise. A person’s positivity can also improve their psychology, making them better at coping with stress — a contributor to memory loss and brain shrinkage. According to one of Levy’s studies, in Ireland over the span of 30 years, mental conditions such as depression and anxiety were more common among people with negative ideas about aging. Dr. Luigi Ferrucci, geriatrician and director of the Baltimore Longitudinal Study on Aging, was skeptical at first when the idea of a link between someone’s health and their feelings about age was suggested. The Baltimore team’s study, which started in 1958, also asked participants about their thoughts on aging, and expecting to find no connection between the two. But they soon discovered that people with a positive attitude toward aging had less cardiovascular disease, they produced less cortisol — a stress hormone — over time, and autopsy findings showed less frequent dementia. “Using very, very objective measures, we found that they were much better compared to those that had a negative attitude,” Ferrucci said. Japan, South Korea and Argentina are the three lowest-ranking countries when it comes to respect for the elderly, according to World Values Survey carried out between 2010 and 2014, despite their large elderly populations. These respect estimates — recorded in 2014 — paint a changing picture of perceptions. The UK report found that most beliefs around age are formed by the age of 6. “Once prejudice has been learned it is often very hard to unlearn,” the report’s lead author, Toby Green, wrote in an email. In one study, they analyzed synonyms for the word ‘elderly’ in a database of 400 million words included in a range or print sources from the past two centuries and found that from 1810 to 1879, the concept of getting older was viewed positively in the United States. Then, from 1880 onward — the midst of industrialization — people started seeing aging as something bad. The researchers suggest the rising number of people over the age of 65 was associated with the increase in negative beliefs around age. A 2018 study found that the chances of dementia can be lowered by 49.8% if a positive outlook is maintained. Older people with happy thoughts have also been proven to recover faster from cardiovascular events, according to Levy’s work. His report for the Royal Society of Public health found that 64% of Brits didn’t have a friend who is at least 30 years older than they are. Integration is “really important — there’s so much evidence on the health and well-being benefits of this,” he said.